For us, our number one priority is to keep our gear safe and protected. We are full-time travel content creators and have found ourselves relying on our camera bags for everything. A dry place, a place to keep some snacks, a place to hold all of our gear or even a place to launch the drone from. The past two years have been ruff trying everything from the cheapest camera bags possible (not recommended) to the middle of the line bags and finally now what we think is the best bag on the market. All of the bags we have used have all been 20 liter or larger. 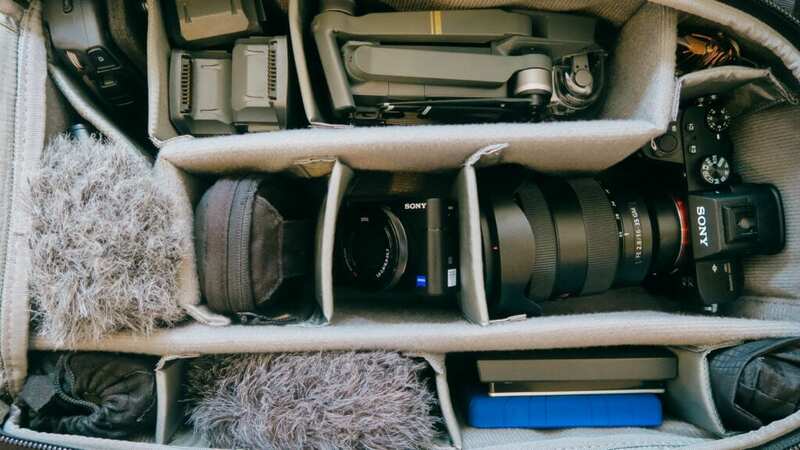 Necessarily big enough to carry a 15 inch MacBook Pro, DJI Mavic drone, DSLR or Mirrorless camera and even some lenses. Because we live out of a suitcase and two camera bags, we had to really search for the right ones. One a little smaller than the other but big enough to fit everything we have. Most bags don’t come ready to carry a production company but with the adjustable insides and sturdy shell of the 20L and 26L ThinkTank bags, we were able to securely fit everything we needed. 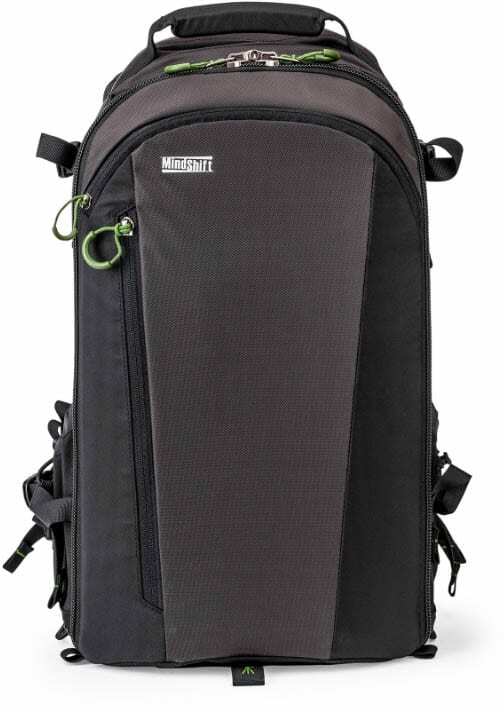 The Backlight 26L is the bigger of the two bags we have. We have rearranged the inside to fit our main needs. Some of the main things we like about this bag is it’s comfortable feel even with a full load and the fact it opens from the back. For us traveling many countries and big cities this is ideal for safety and theft. 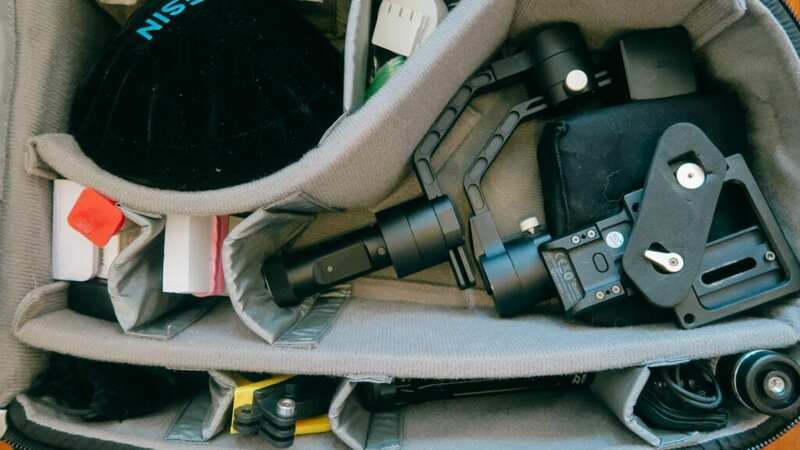 We don’t have as many lenses but we do carry our drone and spare batteries. This takes up the left over room. The Firstlight 20L is the second bag we carry. We mainly use this for our gimbal, batteries and underwater gear. It is rated to carry 1 standard-size DSLR and 4–6 standard zoom lenses. 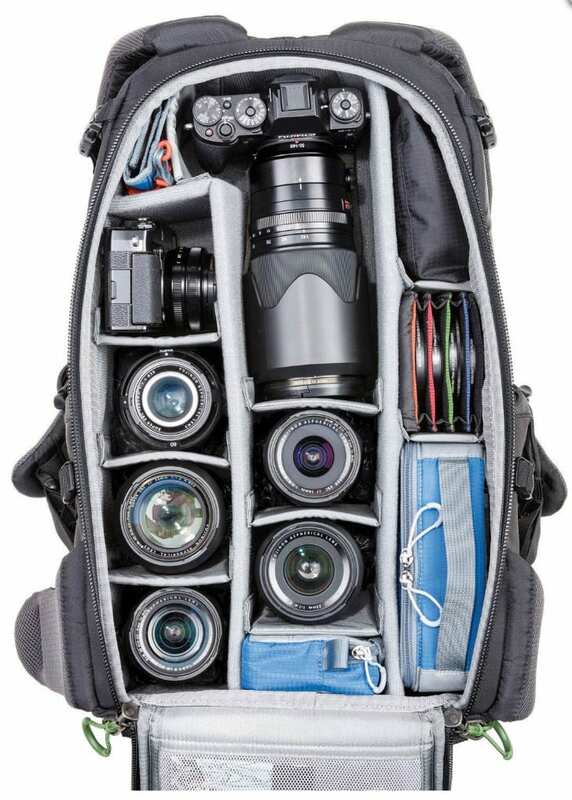 Holds 2 large Mirrorless bodies and 5–7 lenses plus a flash. 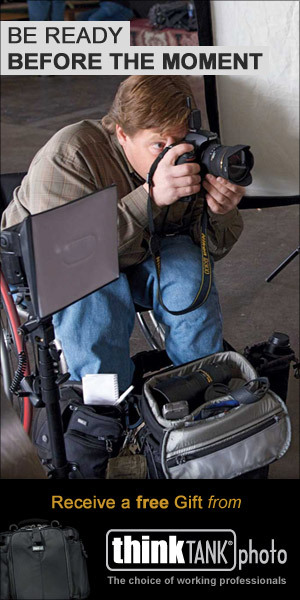 Maximum lens size: 200–400mm f/4 attached or 300 f/2.8 attached. It also has an adjustable inside with a very sturdy frame. This is great for protection in the field or even bouncing around the over head bins on a plane. Over the past 6 months we have been beating these bags up and living out of them. They have been tested in almost ever situation, snow to pouring rain in New York, India, Sri Lanka, Malaysia, we have never had and issue with them. The strong zippers and buckles allow us to be tough and fast when in need. We are videographers and have to carry some things most don’t have to like a gimbal. 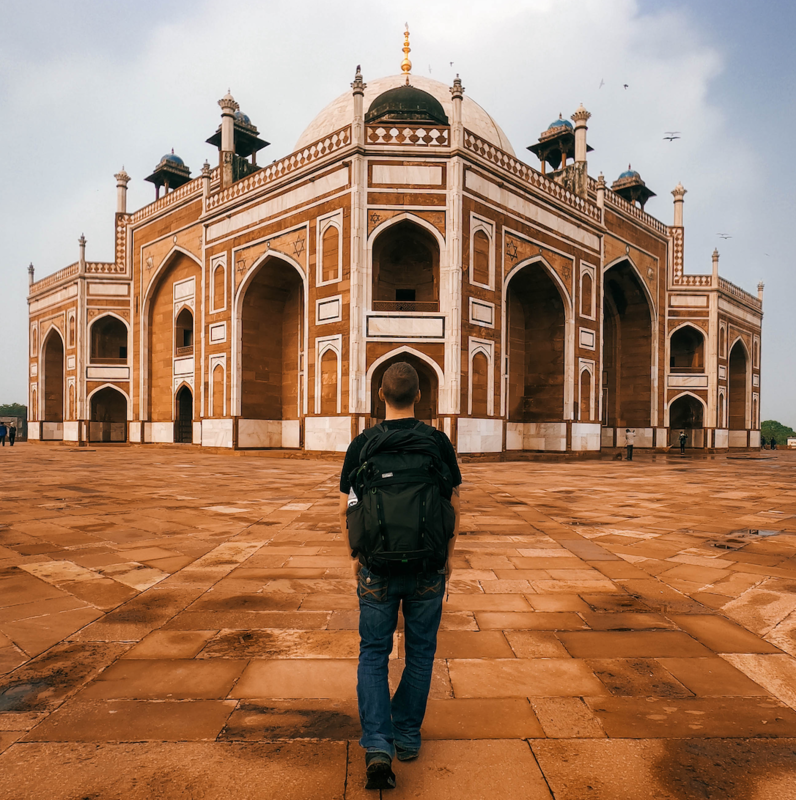 Traveling full-time with a gimbal can be difficult unless you’re ok with carrying a hard case. With this work around it fits everything we need. We will show you how we organize our bags right here. Now we can honestly say that we are over all very pleased with these bags and can’t wait to see where we go with them. They have held up longer than any other bag we have had and we expect them to last us many more years.